Better known to many, as the Auto-Sleeper Exhibition Centre, there is more about us than meets the eye! In 2011, we went solus Auto-Sleeper motorhomes. Therefore, displaying the entire range of Auto-Sleeper motorhome here in Derby. Some, £1.7 M worth of brand new Auto-Sleeper motorhomes on display! In addition, we also carry a good selection of used Auto-Sleepers motorhomes. In fact, we have a continuous changing stock, usually coming in part exchange. The fact that Auto-Sleepers have been in business in the UK for over 54 years, says a lot. In addition, in 2017 they became owned by the French Trigano group. Providing Information Online. Our business, has evolved and grown over many years and we made the step change from car sales to motorhomes in 2010. We have been here in Derby for a lot longer and have been associated with this location, selling cars back in the 70’s. In fact, we used to have the Toyota and Mitsubishi franchises, under the name of Performance Plus and then Motor Plus. So, why do we now use the name Derby motorhomes? 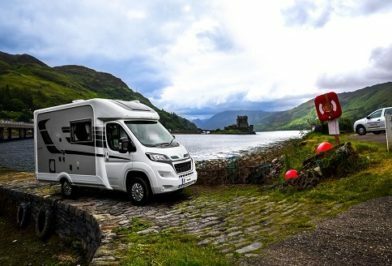 Well, that is how easy it is to find us selling Auto-Sleeper motorhomes in Derby, with full online availability. Just place “Derby motorhomes” into Google and that usually finds us. 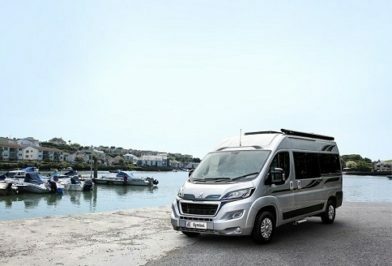 By looking at all options to promote Auto-Sleeper motorhomes, has really worked out well. We like to use technology, wherever we can to assist our customers. Getting good deals together is what it is all about, the more we sell the more deals come together! We have a wide presence on Facebook, Twitter, YouTube and Linkedin. All to pass on good information about us! Developing Leisure Products. The world in motorhomes is changing and we must change with it. In fact, more customers are now buying into leisure vehicles, than ever before. Many of them are buying Auto-Sleepers new and used motorhomes from us and the Auto-Sleeper dealer network. We are developing a full information website and linking into other online developments. We are involved with many things promoting Auto-Sleeper motorhomes. Such as the Auto-Sleeper portal where there is a raft of information about Auto-Sleepers. We promote alongside Auto-Sleeper in magazines and trade show reviews, Also, online links to the Auto-Sleeper website. Our after sales services, we believe are second to none. Our customers tell us that is the case and we are always looking to improve things! We attend all the major motorhome shows and work with Auto-Sleepers on their main stands at the NEC. We have been the leading independent dealer for many years running and are currently in the top three. You can pop along and see us at a motorhome show. We have many customers / visitors who just turn up for a cuppa and a cake. We like to be as informal at motorhome shows as possible. 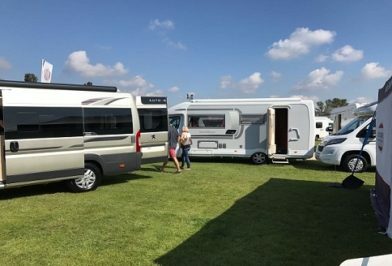 If you want a valuation and are in your motorhome at a show that will be a pleasure. We take a range of new and used Auto-Sleepers to motorhome shows all for your independent inspection! Offering all the support services as well. Part exchange and motorhome finance, are all options for us to help customers, buy an Auto-Sleeper. For those wanting to know even more about us, then please read on. Here in Derby we have a very large premises some 27,000 square feet, all under cover and our service centre is in doors as well. We use the Derby motorhomes .com for our online trading and the domain name to promotes our online sales. However, we are owned by Motor Plus Derby Ltd a long established Derby private registered company. The business has been in the same ownership for over 30 years.